18x18x72 inches. 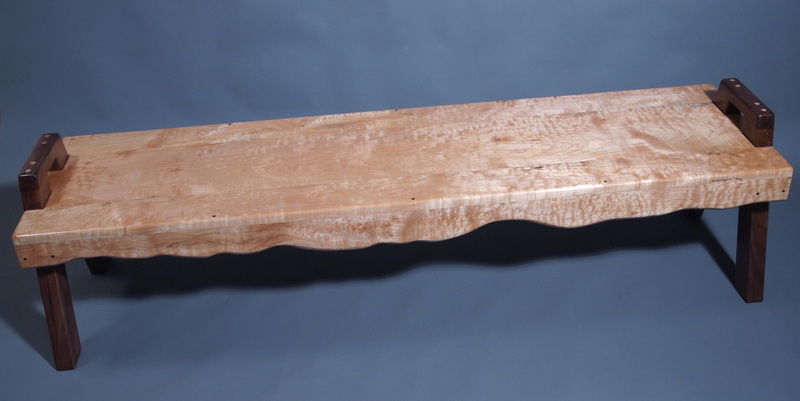 This extra long coffee table was commissioned for a large resort cabin. It is made of bigleaf maple with the sides tapered in and wane edged to give it the look of a single slab. 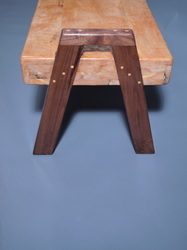 The legs are fully inset walnut. Sold.